As part of the MFA program at UC-Irvine I got to read at Skylight Books in Los Angeles this May. They recorded a podcast of the reading (as they do for all of their reading events), which you can listen to here. It is the episode labeled UC Irvine MFA Students, released on 6/6/13. I read my story "Little Man," which was published in Short Fiction (England), along side work by Benjamin Percy, Brad Watson, Michael Martone, storied Irish writer Mike McCormack, and others. 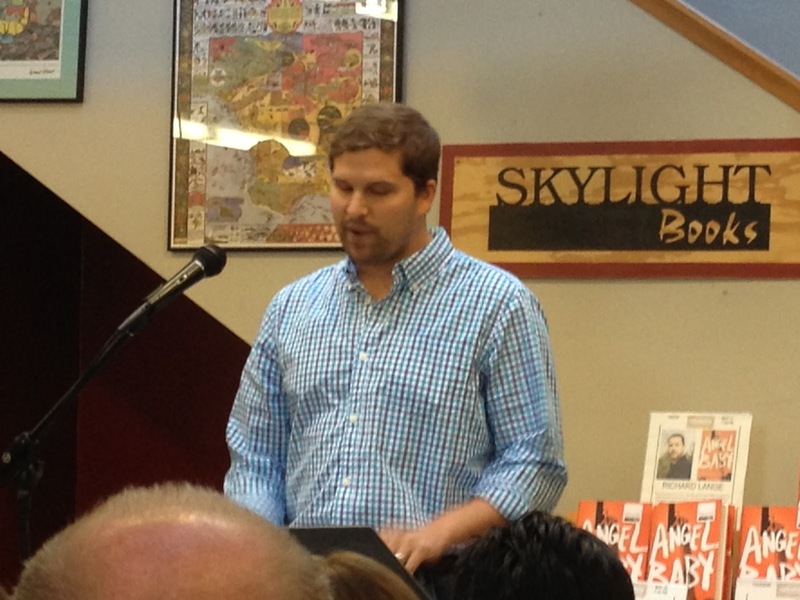 I can't thank Skylight Books enough for letting us read at their store. It was a real thrill. The podcast also features the work of my friends, poets Josh Cornwell and Meagan Cooney, and fiction writer Justin Lee. If you'd like to listen to "Little Man," it starts at the 18:41 mark in the recording, and you can check it out here. Big thanks to Meagan Cooney for her wonderful introduction as well. Thanks for listening!